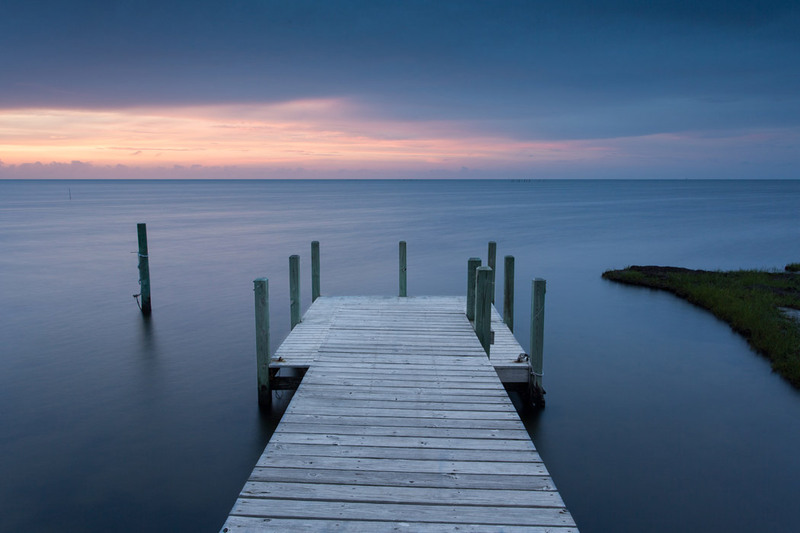 The Pamlico Sound lies between mainland North Carolina and the chain of islands known as the Outer Banks. Its water is calm, shallow, and warm, making it ideal for water sports like kayaking and kite surfing. Small docks like this one line the shores of the sound and make for great foregrounds in sunset pictures. 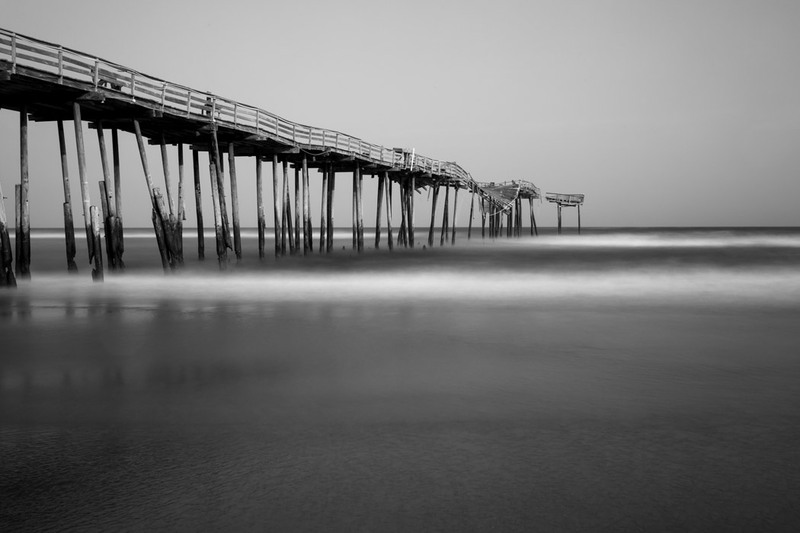 Frisco Pier, located in Frisco, North Carolina, fell into disrepair in the 2000s after being battered by hurricanes over the years. I used to fish on the pier every summer during the 90s and remember it being rickety then. The end section of the pier is disconnected from the rest and sways when waves hit it. 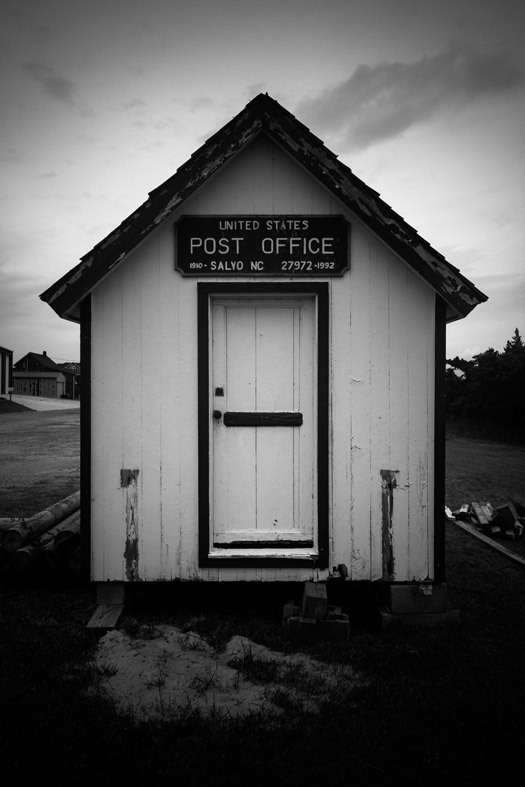 Off of Route 12 in the small beach town of Salvo, North Carolina is the century-old Salvo Post Office. 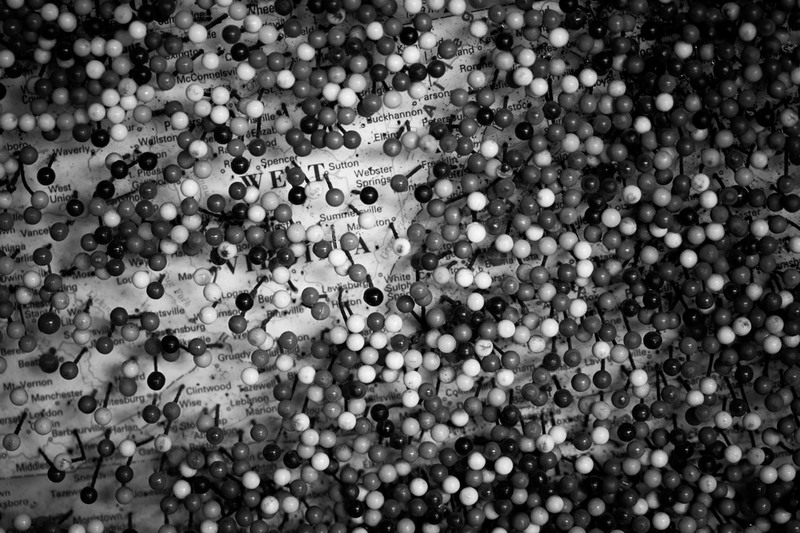 It was the second smallest post office in the nation during its time of operation. Hanging outside of the Island Ragpicker Gift Shop is this map for visitors to pin where their home town is. The shop is located on Ocracoke Island, which is famous for being the pirate Edward "Blackbeard" Tech's favorite place to anchor his ship, the Queen Anne's Revenge. 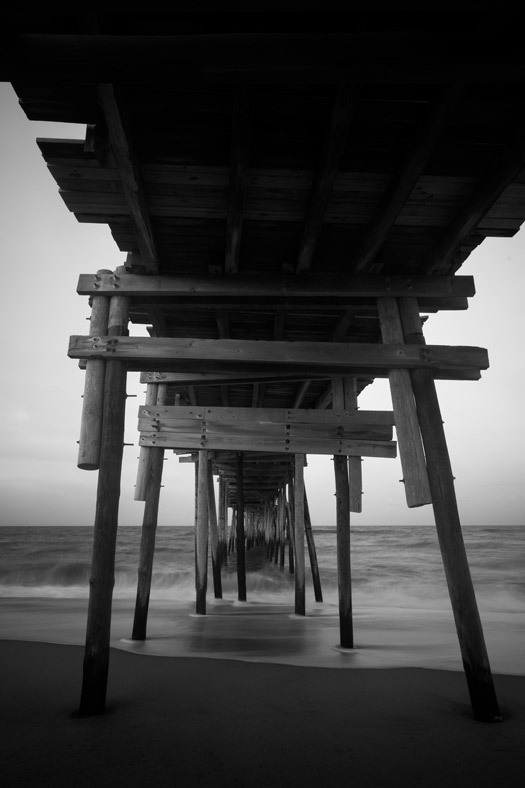 Avon Pier, located in Avon, North Carolina, is one of a handful of wooden piers on the Outer Banks. Fishing, whether on piers, the beach, or charter boats, is one of the biggest drivers of tourism for the area.